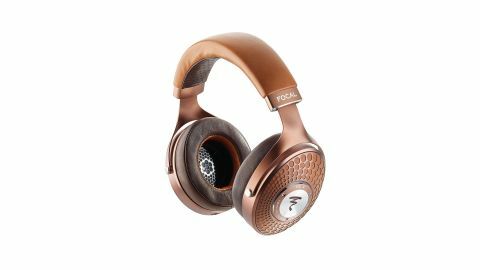 Focal Stellia review | What Hi-Fi? Ask us to name the best sounding headphones we’ve ever heard and you can be sure that Focal’s brilliant Utopias would be in with a shout. They really are that good – though at almost three and a half grand, they ought to be. If the Utopias have a problem it’s down to one of the things that make them so great, and that’s their open-back design. While that configuration gives them a distinct sonic advantage over alternative designs, it also means that they inflict your music on everyone around you, and arguably worse, let sound from outside impact on your listening experience. At home, in a quiet room, given a good enough system, they will deliver the finest sound money can buy. Outside of these Goldilocks conditions you can forget it, there’s too much compromise involved – and that’s where the Focal Stellias come in. Essentially, these are the closed-back version of the Utopias. But on a technical level, much has been re-engineered to account for the different configuration. While the Stellia’s 40mm Beryllium dome drive unit is heavily based on that used by the older model, the closed design means that Focal’s engineers have had to rework it considerably. There are changes to the surround and motor system aiming to optimise dynamics and detail resolution while keeping distortions at bay. These headphones are much more likely to be used on the move and with portable music players and DACs, so attention has been given to making them easier to drive for such devices. The earpieces, the cabinets for these drive units if you like, are elaborately engineered, with specially designed venting to help dynamics and frequency response, along with built-in diffusers and precise amounts of EVA foam absorption to take care of the sound waves coming off the back of the dome. Even the earpads have been considered. Those used on the Stellia are made up of two sections – the part that rests directly around the ears is uses full-grain leather and is intended to diffuse the sound while the other half is covered with acoustic cloth over the memory foam and offers a certain amount of absorption. The idea is to think of the cavity between the drive unit and the ear as a listening room, and these elements control the reverberation time and stray acoustic energy in this space. The Stellia’s build is lovely, just as we would expect for a product at this level. The combination of high quality leather, beautifully shaped metal parts and unusual colour blend of mocha and cognac works well, giving the headphones a strong aura of undeniable luxury. They’re comfortable too, with a wide, nicely padded headband. There’s enough in the way of adjustment for these headphones to fit most people, and though large, they’re not unreasonably heavy at 435g. The earpads fit well and there’s nicely judged clamping pressure for stability without going too far. Focal hasn’t skimped on the packaging either, with the headphones arriving in a large, classy box with an extra carrying case and a choice of detachable cables. Apart from wondering just how much all these extras add to the retail price, we’re not totally happy with the cable options. There’s a short 1.2m lead that’s terminated with a 3.5mm jack, with the option of using a 6.3mm adaptor or a 3m lead with a 4-pin XLR plug. If these headphones are truly intended for portable use, the short lead with the appropriate jack is a little too thick and stiff, not to mention quite microphonic. Any movement of the cable is easily heard over the music being played. While use with phones may not have been forefront in Focal’s minds we suspect quite a few users will simply plug the Stellias into their iPhone, encouraged by their relatively high 106dB/mW sensitivity (at 1kHz). Given the likelihood of such a situation, perhaps a cable option with built-in microphone and remote should be available too. The longer cable is limited to a 4-pin XLR. It’s disappointing that there isn’t a standard long option with a conventional and far more common 6.3mm jack. Most of the DACs and headphone amplifiers we rate most highly don’t come with a XLR output. While we have some practical issues with the Stellias, there are no such doubts about the sound. Given the source electronics such a premium pair of headphones deserves, these Focals turn in a superb performance. Consider the likes of Chord’s Hugo 2 DAC/headphone amp (£1,799) with a suitable source such as a quality laptop with audiophile music playing software such as Audirvana a minimum. Of course the music files should be at least CD standard or above. Given a few days to run-in, the Focals deliver by the truckload. Our initial impression is that of a mature and refined performance, and that feeling never fades. These aren’t the kind of headphones that make us gasp with their brilliance, the Stellias are more of a slow burn, where their true capabilities only really come to light when we start comparing to other high-end headphones. It’s then that we realise just how much detail they resolve. We can follow individual instrumental strands in Arvo Part’s Tabula Rasa with great ease, and are made more aware of how those strands fit together. Dynamics are delivered with considerable authority and no small amount of grace. We love how these Focals cope with the ever-building intensity of this piece, but also the way they remain composed and organised. There’s enough refinement to stop things hardening up, yet the smoothness is never taken so far that the emotion in the music is diminished. The Stellias have a spacious presentation, and the angling of the Beryllium drive units towards the front of the earpieces – a placement more closely aligned to that of a typical stereo speakers set-up – means that the sound is presented more in front of the listener rather than just between their ears. Tonally, things are nicely judged. We would never describe these headphones as totally neutral – the balance is just a little too smooth and full-bodied for that – but it won’t make a meal out of poorer recordings. That’s a good thing considering that these might be used with variable quality of music files. We move to alt-J’s This Is All Yours set and the Focals handle the change in attitude well. There’s plenty of punch and drive here, together with a surefooted handling of the album’s complex rhythms. There are top-end open-backed headphones from the likes of Grado that sound more exciting and enthusiastic, but the Focals still give us enough in the way of entertainment to convince. Powerful bass is traditionally a strength of closed-back designs, and the Stellias predictably do well. Their low-end is meaty and authoritative, but agile and tuneful with it. Thankfully, unlike some rivals, Focal has chosen not to overplay bass in a bid to impress – the Stellias sound seamless and wonderfully integrated. Of course, the use of a single driver unit to cover the whole frequency range – the company claims 5Hz – 40kHz – helps significantly. We listen to a whole range of music, from the hard-charging rock of Bruce Springsteen’s Born To Run to the sparse and emotionally charged Broadchurch OST by Olafur Arnalds, and the Focals never put a foot wrong. In absolute terms, we still think the open-backed Utopias sound better – they’re just that bit more transparent and subtle. But if you must have a closed design, these Stellias are arguably the best we’ve heard.